Imagine you use a vacuum-seal bag to store your winter clothes during the spring and summer. Your clothes are tightly packed in a waterproof, dustproof package with little to no air leakage. After several months, you pull out your clothes. They may smell a little plasticky and stale, so you let them air out for a bit before you wear them. Now, imagine that you have a home that is so tight that it is waterproof, dustproof, and has little to no air leakage. Nothing gets in or out. It probably needs airing out, too, right? That’s exactly what is happening with some green and energy-efficient homes. As homeowners and remodelers sought to reduce the home’s heating/cooling costs and its impact on the natural world, they may have neglected to think about whether the home could breathe. Many homeowners are now having trouble with their more tightly-built houses because the homes lack the ventilation necessary to get the stale inside air to the outside of the house and bring fresh air inside. For some, the home may already be toxic. The World Health Organization estimates that 4.3 million people worldwide die each year from indoor air pollution. Those with asthma are also at risk, as indoor contaminants such as mold, dust, and dander can cause asthma attacks. And the number of Americans with asthma is increasing. From 2013 to 2014, the CDC estimated that the percentage of asthmatic adults rose to 7.4% from 7%, while rates rose in children to 8.6% from 8.3%. Some homeowners may be looking to limit how their home impacts their health by transforming their green homes into healthy homes. Though similar in many ways, a healthy home goes well beyond sustainability. 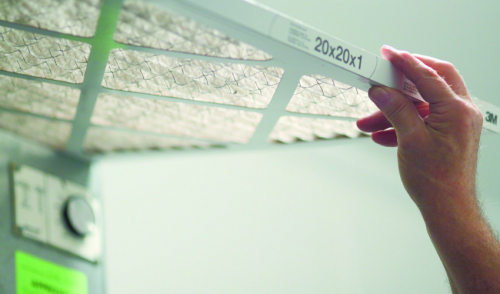 The most important part of this healthy home system is having good indoor air quality (IAQ). That requires a constant, steady exchange of filtered fresh air coming into a space while exhausting the stale indoor air out, according to both Hayward and Paul Kocharhook, owner of Pathway Design & Construction in Seattle and who specializes in indoor air quality. Proper ventilation can be delivered through a heat recovery ventilator (HRV), for use in colder climates, or an energy recovery ventilator (ERV) for warmer climates. These systems not only filter the air, but also lower or raise the temperature of the incoming air to bring it to the same temperature as the air in the home, which reduces the load on the heating and cooling systems, says Lapotaire. “It’s an additional piece that can either be added to the existing forced-air system, which is kind of a halfway solution, or it can be a dedicated system that runs continuous fresh air in and out of the house all the time,” Hayward says. He believes that the dedicated system is the best solution to ensure great indoor air quality. When thinking of the home’s IAQ (and in thinking of the home as a system), it’s important to understand where the air is coming from. Air can travel from a crawlspace through the living environment and up out of the attic. In some cases, air is even pushed back down through the attic and into the home. Considering that crawlspaces can contain moisture, soil gases, and rodents and their droppings, while attics can contain critters, bugs, and old insulation, it’s not the kind of air anyone wants to breathe. To prevent that icky air from getting into a homeowner’s living space, experts stress the need to properly seal off the indoor air space from the crawlspace and attic. Reducing the amount of moisture buildup in a home is also important. Kocharhook emphasizes the need to add a vapor barrier to mitigate the amount of moisture seeping into the house. Proper sealing of the indoor air space is particularly important for older homes as they have the potential to be more toxic than newer homes, says Henson, especially those homes that may still contain lead paint. Homeowners are becoming increasingly concerned with how their home might be impacting their well-being. In “Challenges and Opportunities in Creating Healthy Homes: Helping Consumers Make Informed Decisions,” a March 2016 working paper from the Joint Center for Housing Studies of Harvard University, Mariel Wolfson and Elizabeth La Jeunesse found that 24% of 2,249 surveyed homeowners either had “specific concerns” or “suspected risks” about their homes negatively affecting an occupant’s health. Of the homeowners who expressed concerns, Wolfson and La Jeunesse found that 60% of those homeowners had taken steps to mitigate their issues, including using low- or no-VOC paint and removing mold from the home. In addition, 70% of homeowners surveyed said that indoor air quality was one of their concerns about the health of their home. Homeowners surveyed also cited uncertainties about finding reliable information and finding a reputable, knowledgeable contractor or remodeler to do the work. However, our experts report that many of their clients aren’t even aware of what a healthy home is. To inform homeowners, our experts say that they will bring up healthy home principles with their clients. Kocharhook notes that younger clients or clients with young kids are “a bit more open to hearing about” healthy home options. Henson agrees. During the walk-through for a kitchen remodel for a young family, Henson asked to poke his head in the attic. He noticed old insulation, animal droppings, and other nasty gunk when he looked. He wound up cleaning out the attic and the indoor air environment instead of completing the kitchen remodel. Making those healthy home changes has made the client a lifelong customer; Henson has since remodeled the kitchen and is now working on exterior projects. Understanding building science and how the home works as a system will have a huge impact on how you approach your clients about healthy home options. “It’s really important for builders and remodelers to understand the building science, so when they’re disrupting the system, they’re thinking about the consequences and constructing in a way that’s beneficial,” Hayward says. Henson advises taking a class on home performance. He says education will not only help improve a remodeler’s understanding of how air moves through a home, but also will help remodelers be better at their job in general. His company even goes a step further and offers two sets of workshops, one for homeowners and the other for architects, about healthy home building. There are online resources as well. Hayward Healthy Home created a quiz for homeowners to take that provides a Hayward Score of how healthy their homes are and outlines areas for improvement. The Pharos Project is a database of different products and materials with information about their chemical makeup, ingredients, and potential hazards to both human health and the environment. The Healthy Building Network, the Environmental Protection Agency, the World Health Organization, and the Indoor Air Quality Association all provide information and resources for improving a home’s health and indoor air quality. If you want to take more immediate actions, Kocharhook and Nilsson advise readdressing the types of products your company uses to make sure they are low- to no-VOC and formaldehyde free. Remodelers also should give clients cleanable surfaces. Chiefly, this means limiting the amount of carpets and rugs in the home. Hayward says carpets do not qualify as a cleanable surface because, no matter how much you vacuum, dirt and dust will always remain trapped, which can aggravate a homeowner’s allergies. Are there any children or elderly persons in your house? Treeium’s Rochelle Nilsson advises posing this question because children and the elderly are the most at-risk groups to be affected by poor indoor air quality. How much do you know about indoor air quality? Is that something you want to know more about? This question is an easy way to start a “five minute conversation on education,” says Bryan Henson, president of Allen Construction. Would you like your house to smell fresh when you come in? Bill Hayward, president of Hayward Healthy Home, says that this question can be great for homeowners who are doing a remodel on a vacation home that will be shut most of the year. Do you only have problems breathing when you’re here at your house? This question will help you evaluate why a home might be affecting a client’s health, says Nilsson. “Most people won’t pay extra unless it’s affecting their quality of life,” she adds. Do you or someone who lives here have allergies, asthma, or a chemical sensitivity? Hayward says asking this question will help you see if this is an issue the client cares about. It also alerts you that the client is at a higher risk of being impacted by an unhealthy home. Cleaning during and after the remodel is also imperative to the healthy home. Following a remodel, Hayward suggests cleaning the property thoroughly by vacuuming with a HEPA vacuum (a regular vacuum won’t cut it), dusting, and vacuuming again. The added bonus to the marathon cleaning session is that remodelers are able to spot-check their work and catch minor imperfections they can fix for their clients. Providing your clients a healthier home is no different than improving the function of their space. You are there to diagnose problems, Henson says, and to offer solutions to things that the homeowners themselves may not even realize.